Today I want to share with you another sweet card I made as a member of the Action Wobble Design Team! This card is extra fun as it includes an Action Wobble under the girl digi stamp. 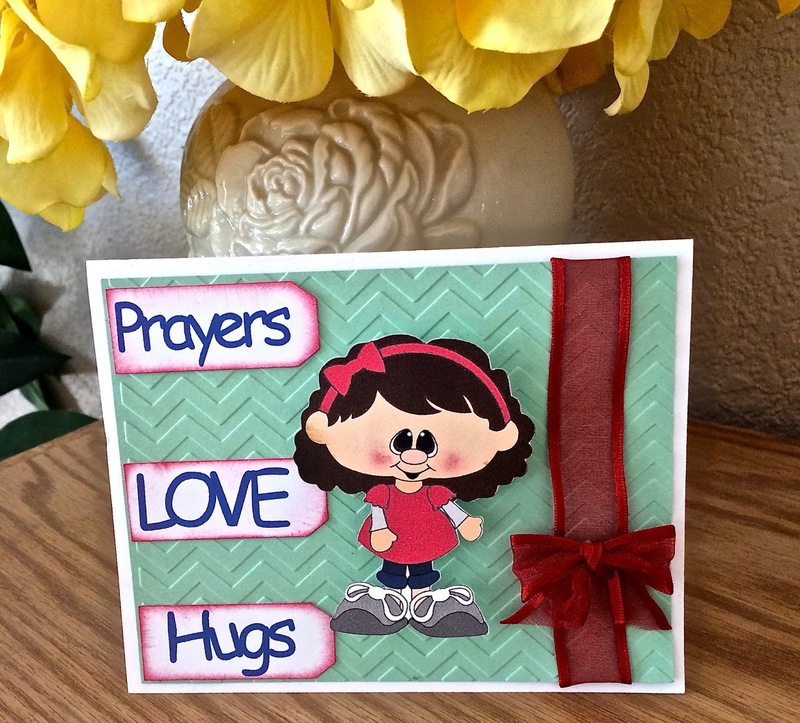 I made this sweet card to send to a special relative going through a difficult loss. If you don't have any Action Wobbles to enhance your projects, you can pick some up at the Royal Castle Shoppe . You will be so happy your did! If you've used Action Wobbles before we'd love it if you would become a follower of our Action Wobble blog and "Like" us on Facebook so you can share your wobble projects with us. I made Sweet Six at Cupcake Inspirations! Must see beautiful hand made items! Picture Window theme. Theme images by Colonel. Powered by Blogger.